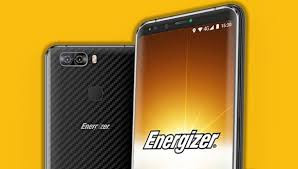 Meet Energizer Power Max P600S smartphone . It is a 4G Smartphone coming in two memory variants - 3GB RAM and 6GB RAM. The smartphone runs Android 7.0 Nougat,Controlled by a MediaTek P25 processor. it utilizes dual rear cameras 13MP + 5MP at the back with dual LED flash. The front camera utilizes an 8MP camera .It also comes with a unique fingerprint scanner at the back of the phone , and packed up with a 4500mAh battery capacity . Rear Dual Camera: 13 MP + 5 MP, stage recognition self-adjust, dual LED flash.